Malaga’s cheesemakers “The Shepherd of the Valley”, “Montes de Málaga” and Avila cheese “Elvira Garcia” won medals at the International Competition World Cheese Awards, held last November 26 in Birmingham (Great Britain), which is considered the most important international cheese competition. Each year, about 250 judges select the best cheese varieties from different countries. The competition in 2015 collected 2,727 cheeses from around the world. An artisanal cheese factory El Barraco (Ávila) achieved a gold medal with its cheese Luna Nueva, a silver medal with cheese Musgo Lavado and a bronze Medal for Canto Lavado. This is the second award for this prestigious competition for this fedgeling cheesemaker founded in 2013. In the edition of the World Cheese Awards 2014 its cheese Musgo de Capra was awarded the bronze medal. 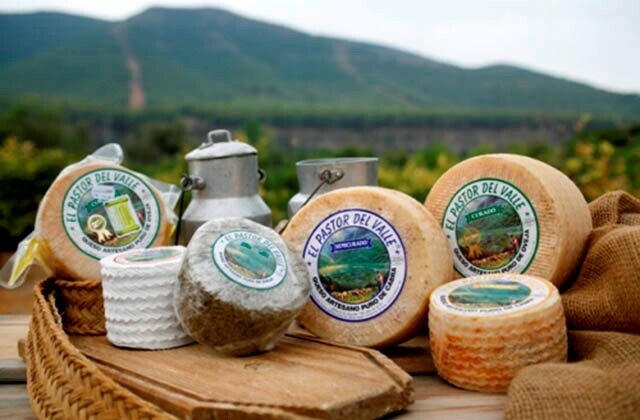 Artisanal cheesemakers ‘El Pastor del Valle’, based in Alhaurín El Grande (Malaga), won two bronze medals with cured goats cheese wrapped in rosemary and cured raw milk. This cheesemaker also won an award last year, with their semi-cured goat’s cheese. Both cheesemakers have their own Malaga goat breeds, livestock and animals which are registered in the herd book of breeds. The Association of Cattlemen from the mountains of Málaga, located in Colmenar, received its first award in this competition a bronze medal for cured cheeses. A deserved reward to the great history of this cooperative which has about 170 active members , all goat milk producers , the vast majority from Malaga, scattered around the province of Malaga , whose volume of milk collected annually is around nine million litres.